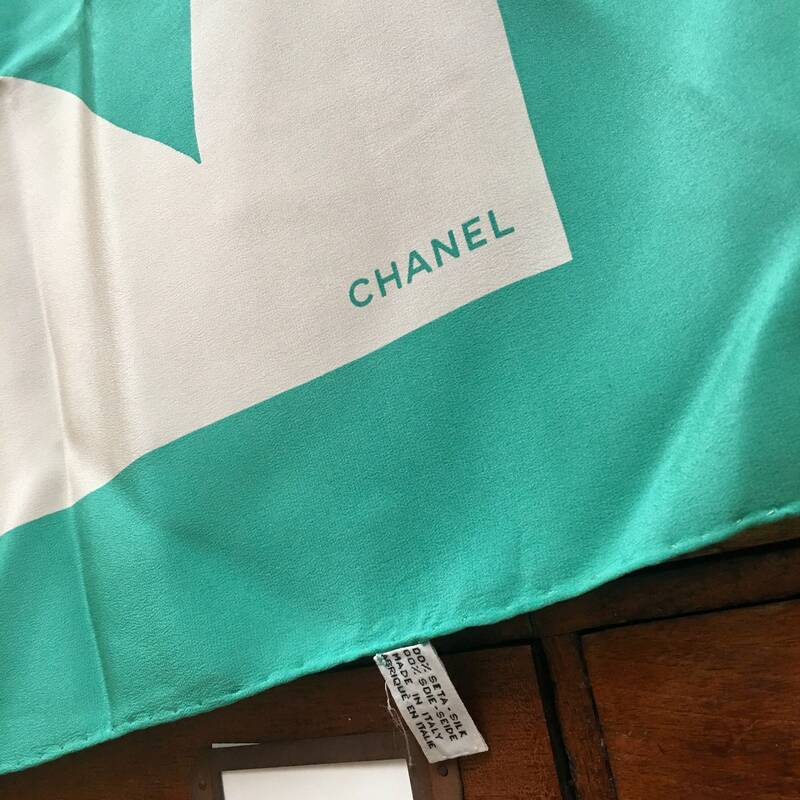 Chanel silk scarf. 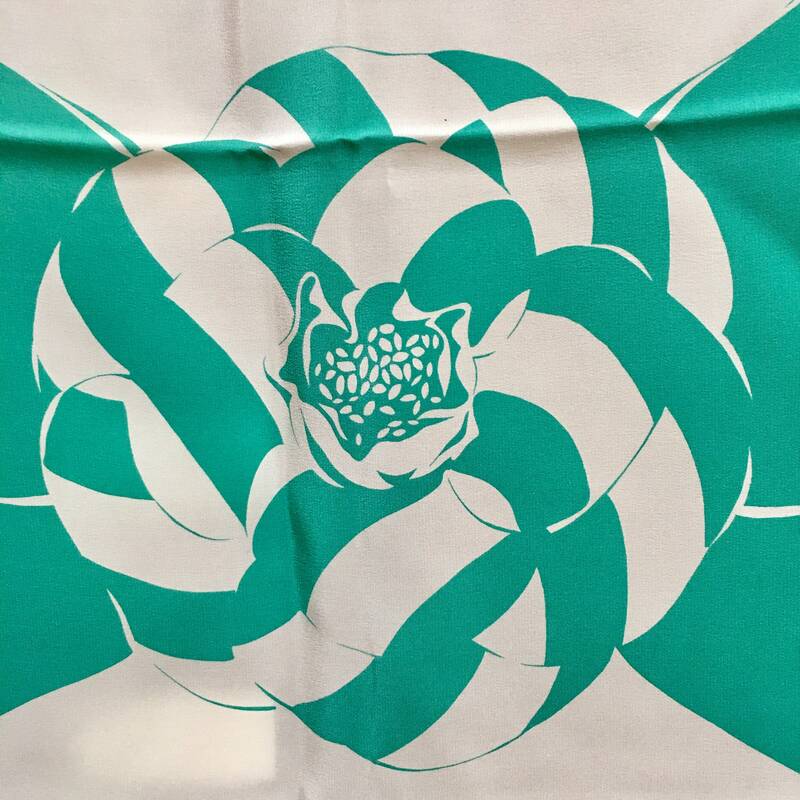 Model Camellia in celadon green on off white background. 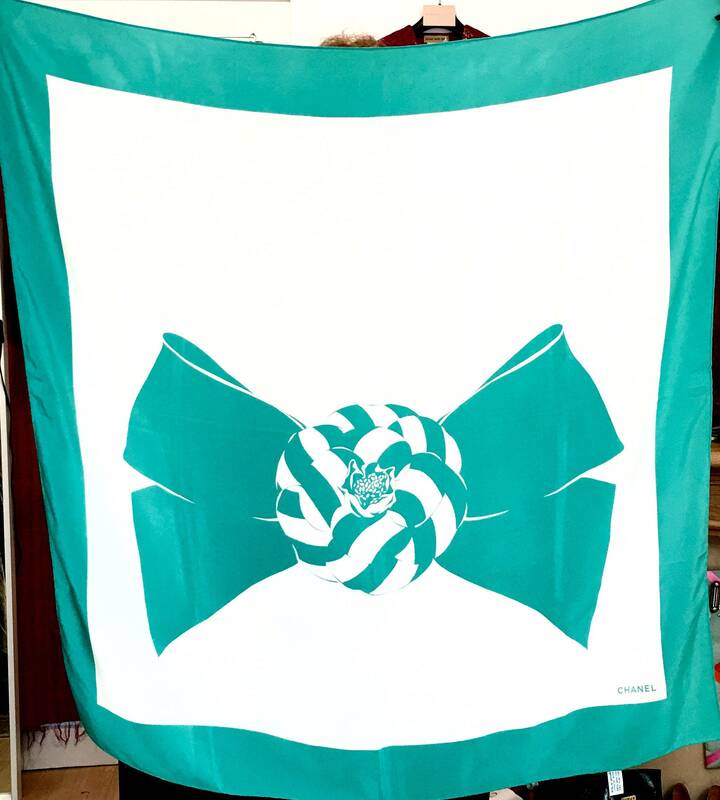 Size 80cmx80cm. Very good condition. Italian silk, edge finishing by hand. Iconic Chanel!